First, we got producers. Then, we got a host. Now, we have a production team. With 100 days to go until the big show, the Academy and producers Craig Zadan and Neil Meron announced the team Friday. Meron shared a photo (above) on Twitter Friday. 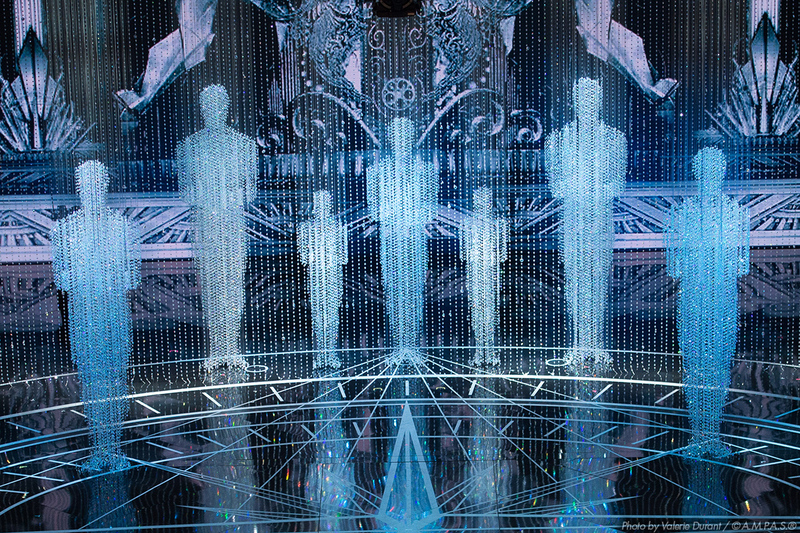 Just like the producers themselves, there are going to be quite a few familiar faces backstage next year. Hamish Hamilton is returning for the second consecutive year as director so is Derek McLane as production designer, Michael B. Seligman as supervising producer, Taryn Hurd as talent producer, Robert Dickinson as lighting designer, Rob Ashford as choreographer and Lee Lodge as co-producer. 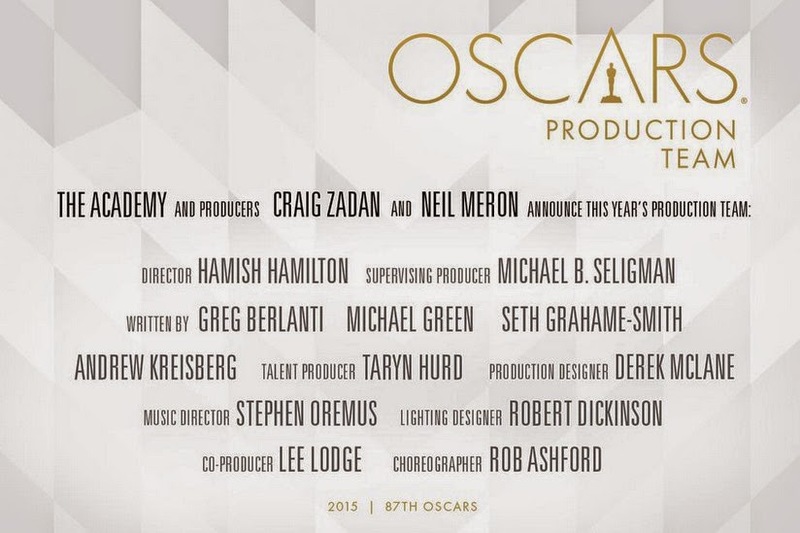 Among the new faces at the Oscars will be writers Greg Berlanti, Michael Green, Seth Grahame-Smith and Andrew Kreisberg. Stephen Oremus makes his Oscars debut as music director. 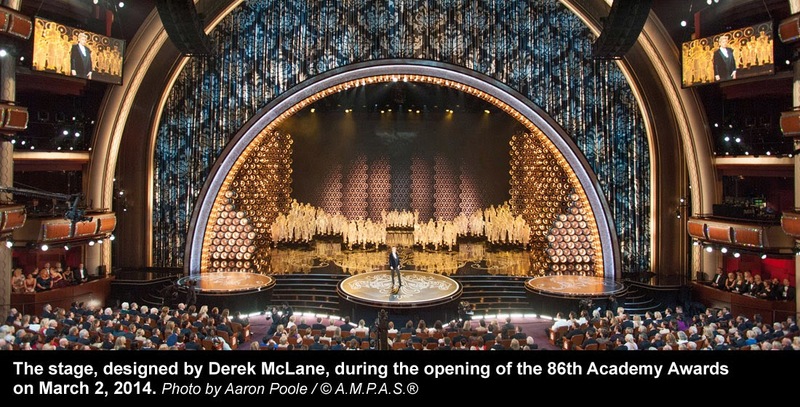 Production designer Derek McLane has been part of both Oscar shows that Zadan and Meron have produced. He won a 2014 Emmy for his production design of the 86th Academy Awards, and earned a nomination in the same category the previous year. 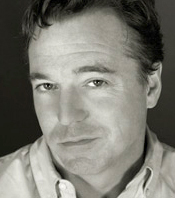 McLane also has designed sets for numerous acclaimed Broadway and Off-Broadway shows; he has received four Tony Award® nominations and won the award in 2009 for his work on “33 Variations.” McLane’s designs can currently be seen in “Beautiful: The Carole King Musical.” His other Broadway credits include “The Heiress,” “Nice Work If You Can Get It,” “Gore Vidal’s The Best Man,” “Follies,” “Anything Goes,” “Bengal Tiger at the Baghdad Zoo,” “Grease” and “I Am My Own Wife.” McLane’s television credits include “The Sound of Music Live!” which was executive produced by Zadan and Meron. Choreographer Rob Ashford has worked on the last two Oscar telecasts as well as the 81st Academy Awards show, for which he won an Emmy. He was recently nominated for a Directors Guild Award for his work on “The Sound of Music Live!” Ashford has been nominated for eight Tony Awards® and won for Best Choreography in 2002 for “Thoroughly Modern Millie.” His other Broadway choreography credits include “The Wedding Singer,” “Curtains,” “Cry-Baby,” “Evita” and “Cat on a Hot Tin Roof.” He also has served as choreographer on such feature films as “A Million Ways to Die in the West” and “Cinderella,” due out next year. Also rejoining the production team are supervising producer Michael Seligman, co-producer Lee Lodge and lighting designer Robert Dickinson. Seligman has more than 300 major television events to his credit and has earned 12 Emmy nominations, including 10 for his work on Oscar telecasts. 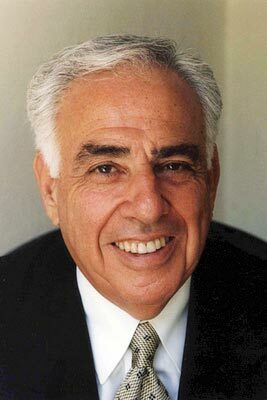 Seligman’s other producing credits include “The American Giving Awards,” “America Celebrates July 4th at Ford’s Theatre,” “Stand Up to Cancer” and “Return to the Titanic…Live!” This will be Seligman's 38th year of association with the Oscars.